Soles Electric Company operates 24/7/365. Our regular business hours are 7:00am—3:30pm, Monday through Friday. After hours calls are handled through our on call managers and employees. If you have an after hours emergency, please dial the main line and follow the prompts to reach a manager. We strive to answer all incoming calls immediately. However, if prompted to leave a message, please do so and your call will be returned promptly. If you have a general question or inquiry, please submit the form below. The message will be routed to the correct department and you will receive a reply promptly. Soles Electric Company values its employees and understands that our employees safety, knowledge, and skills are critical to our company's success. Our job postings are typically available on Indeed.com, however, we are always looking for skilled talent that is dedicated to safety, customer service, excellent workmanship, and teamwork. To submit your resume, please email your cover letter and resume to: hr@soleselectric.com, or apply in person at 1552 Tulip Lane in Fairmont, WV. Soles Enterprises, LLC is hiring a Battery Technician at their Rebuilders location in Fairmont, WV. Candidate must be willing to learn diverse skills in an industrial environment. Primary duties will be to repair and rebuild industrial batteries on site at the customer location. The successful candidate must be mechanically inclined, have excellent attention to detail, and be willing to work with electricity. The chosen employee will be reliable, efficient, hardworking and committed to safety. Please email your resume to hr@soleselectric.com or apply in person at 225 Holbert Rd, Fairmont. No calls please. Soles Electric Company is seeking a skilled and experienced Equipment Mechanic for their Equipment Rebuild Shop at their Fairmont location. Necessary skills include a mechanical background with repair experience, specifically, experience in gearbox repair, and fitting of bearings. Experience with setting up gears, checking gear mesh and backlash, and basic knowledge of machinist tools (dial indicators, calipers, and thickness gauges) would be beneficial. 5 years of experience is required. Welding capabilities would be a plus. This position is expected to provide their own standard tools. The right candidate will be a self-starter who can work autonomously or contribute as part of a team, and hit the ground running. This candidate must be willing to work in an industrial environment, and be reliable, efficient, hardworking and committed to safety. If you believe your skill set matches our needs, please send your resume and salary requirements to hr@soleselectric.com. Or, apply in person at 1552 Tulip Lane in Fairmont during business hours. Soles Electric Company, an established Electric Motor Repair Shop in Fairmont, WV is seeking an experienced motor winder. The winder must have experience in AC medium voltage form & random stator windings, and DC random & form armature windings. A qualifying candidate must have knowledge of taking data and making their own random wound coils. The chosen employee will be reliable, detail oriented, efficient, hardworking and committed to safety. Please email resume and salary requirements to hr@soleselectric.com. Or, apply in person at 1552 Tulip Lane in Fairmont during business hours. oles Electric Company, an established Electric Motor Repair Shop in Fairmont, WV is seeking an apprentice electric motor winder. This position will be trained to wind AC and DC motors through our apprentice program. The chosen employee will be reliable, detail oriented, efficient, hardworking and committed to safety. Please email resume to hr@soleselectric.com. Or, apply in person at 1552 Tulip Lane in Fairmont during business hours. 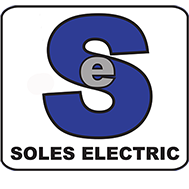 Soles Enterprises, LLC is seeking a candidate to fill a physical labor position in our Soles Electric Company location in Fairmont, WV. Candidate must be mechanically inclined and willing to learn diverse skills in an industrial environment. The chosen employee will be reliable, efficient, hardworking and committed to safety. Please email your resume to hr@soleselectric.com to apply. Drug and Alcohol Test, and Background check, required. NO CALLS, please.